​Liverpool defender Dejan Lovren is hoping to recover from his hamstring injury in time to face Bayern Munich in the Champions League on Tuesday, and has visited a specialist in Croatia in an attempt to speed up his recovery. The centre back has been out of action since early January as a result of the injury and, with both Joe Gomez and Virgil van Dijk unavailable through injury and suspension respectively, manager Jurgen Klopp will have to come up with a new defensive pairing to face the Bundesliga giants. News of ​Lovren's treatment comes from the ​Daily Telegraph, who note that the 29-year-old has not travelled to Marbella to train with the rest of his teammates. Instead, Lovren has turned to a muscle-strengthening coach from Croatia in an attempt to accelerate his return to first-team football. 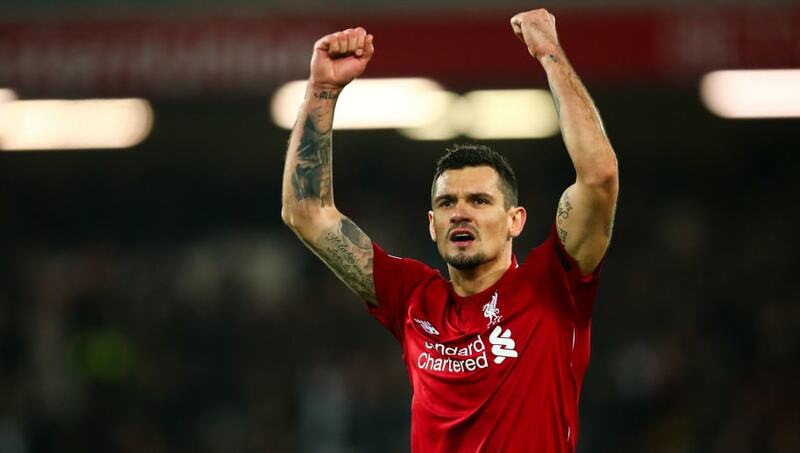 Klopp ​confirmed that he is not currently considering Lovren for selection on Tuesday, saying: “I don’t want to rule it out but I cannot really plan with it. “He is not here for good reasons, because he cannot be part of training. We are back on Friday. Then from Saturday on, Dejan is back at Melwood and we will see. “But, of course, we have to prepare it differently. If Dejan gives a sign on Monday – ‘I feel brilliant’ – then we’d have to think anew. Should Lovren fail to recover in time, Joel Matip will likely be gifted his third start in the Champions League this season, whilst Klopp may also ask midfielder ​Fabinho to drop back into defence, having already played the Brazilian as a centre-back in January. He impressed as a defender against both ​Wolverhampton Wanderers and ​Brighton and Hove Albion, but is yet to play alongside Matip. Klopp will certainly be eager for the duo to gel quickly, with ​Bayern currently enjoying a resurgence of form which has seen them win ten of their last 12 matches.